PMMS members are warmly invited to the AGM study day on 10 July 2013, held at Bedern in the city of York. The day will celebrate the Society’s 125th anniversary with a wine reception and free evening concert of conductus by candlelight, two public lectures and a series of papers held in medieval venues in York city centre. The theme of the day is the exploration of centres of music and liturgy before 1550, and will have a good balance of talks on plainchant and polyphony. Speakers include Roger Bowers, Emma Hornby, Rebecca Maloy, Andrew Kirkman, Jim Borders, Thomas Schmidt, Matthew Ward and Hannah Vlhova. Registration will be in the region of £50 (non-members) and £35 (members and students). Delegates will be provided with lunch, refreshments and a discounted ticket to a further concert at York Minster, as part of York Early Music Festival. Further details and registration will appear on the PMMS website in the new year. The day will also include the AGM, which is free to attend. Delegates may like to stay for a few days to enjoy further events at the York Early Music Festival (Friday 5 - Saturday 13 July) and will focus on Rome, with music created under the patronage of medieval Popes, the renaissance polyphony of Palestrina, and the exuberant baroque of Handel in Italy. Special features will include a celebration of the anniversaries of Corelli (1653-1713) and Dowland (1563-1626). Artists will include countertenor Iestyn Davies, one of the world's foremost viol players Wieland Kuijken, the Italian medieval Ensemble Medusa with singer Patricia Bovi, medievalist Stevie Wishart and her group Sinfonye and Theatre of the Ayre with Elizabeth Kenny and members of the Ukulele Orchestra of Great Britain! While Messiaen found birds to be "sovereign" in their creative capacity, he also said they are "the closest to us, and the easiest to reproduce". I should assert that the only man-made music ever, perhaps, to come close to birdsong is Gregorian chant. This music, the music proper to the liturgy of the Roman Catholic Church, manifests the same flexibility of both melody and rhythm. There is even evidence to suggest that the Gregorian melodies we have written down were the basis, in fact, of improvisation – which of course further reminds us of the sounds of the natural world. In antiquity and the Middle Ages birdsong was regarded a very significant. The above picture, from a Bestiary, shows a lion bowing to a cockerel; in Hamlet the theory that cockerels sing all night at Christmas time, banishing evil influences, as they do throughout the year at dawn, is recounted. St Francis preached to the birds, encouraging them to praise God for the natural gifts with which God had endowed them, by singing. And so, of course, they did. It is interesting to compare the ordered spontaneity of birdsong and of Gregorian Chant. Singing Gregorian Chant has to be learnt, by human singers, but in learning to do it we reconnect with something very fundamental in human nature. From the Holy Father's recent address to the Italian St Cecelia Assocation. 'Any performance of sacred music which takes place during a celebration, should be fully in harmony with that celebration. This often means that musical compositions which date from a period when the active participation of the faithful was not emphasized as the source of the authentic Christian spirit are no longer to be considered suitable for inclusion within liturgical celebrations.' (Concerts in Churches, 1987). The clear implication of the latter document is that Chant and Sacred Polyphony did not promote 'active participation'. It's not often I'd say this about an official document of the Church, even one with the limited authority of an 'Instruction' from a congregation, but this is WRONG, WRONG, WRONG. A LEADING Scots lay Catholic has claimed the music sung in churches is 'lousy' and is the reason why young people have stopped going to Mass. Joan Dillon, a Masters graduate of RSAMD (now the Royal Conservatoire of Scotland), also claimed music at Mass was 'more rooted in pop music than in sacred traditions' and was often 'so bad it distracted people from the true purpose of worship'. She said 25 pupils from state schools currently learning Latin through the study of sacred music were the future lifeblood of the Catholic Church in Scotland. Speaking prior to the launch of Scotland's first Academy of Sacred Music (AOSM) in Glasgow, Ms Dillon, its founder, told The Herald: 'There has been some pretty lousy music sung in Catholic churches and that is where things have gone wrong, why congregations are shrinking. 'It need not be so. As a parent myself it seems to me young people are being brought up immersed in the negative messages of modern music via MTV, a lot of which is demeaning. Ms Dillon said the poor standard of church music stemmed from Vatican II, the Second Vatican Council convened in 1962 by Pope John XXIII which led to Mass being said in English rather than Latin. Her support for sacred music echoes that of leading Scots composer James MacMillan, who Ms Dillon has invited to be patron of the new academy. Mr MacMillan was commissioned to write new sacred music for masses in Glasgow and Birmingham during Pope Benedict XVI's visit to Britian in 2010 and caused controversy within the Catholic church when he claimed, in a letter to The Herald, the trend for 'touchy-feely-smiley-dancey folk' worship had 'repulsed' young people and 'put them off going to church in their droves'. 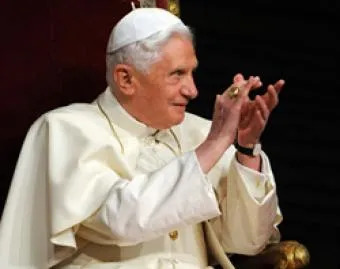 In his address tonight at St Andrew's Cathedral, Glasgow, Mr MacMillan will repeat Pope Benedict's message that 'the world needs beauty in order not to sink into despair' and that music is the most spiritual of the arts. The AOSM, which is open to all religions and none, is based at Renfield St Stephen's Centre in Bath Street and runs choral classes for young people from the age of five to 18. It already has 25 students from state schools, including Glasgow's Holyrood Secondary and Uddingston Grammar. Printable copies of the music and propers for various Masses have been made available here; they were originally developed for John Fisher House, the Cambridge Chaplaincy. They include some interesting features, such as the Offertory Verses. These verses, to which the Offertory Antiphon (or part of it) acts as a refrain, are theologically rich and musically and poetically very interesting. 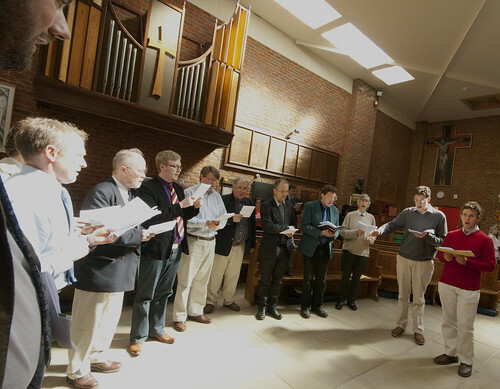 The Schola Abelis in Oxford frequently sings them; they are sung by a cantor, and at the end of verses the full schola repeats all or part of the antiphon. They are not for the faint-hearted, however, as they are difficult. They are optional in the Extraordinary Form, under the Instruction Musica Sacra of 1958, 27 (b) (and de facto earlier too I would assume, hence a 1935 edition of the verses, which are clearly intended for liturgical use). 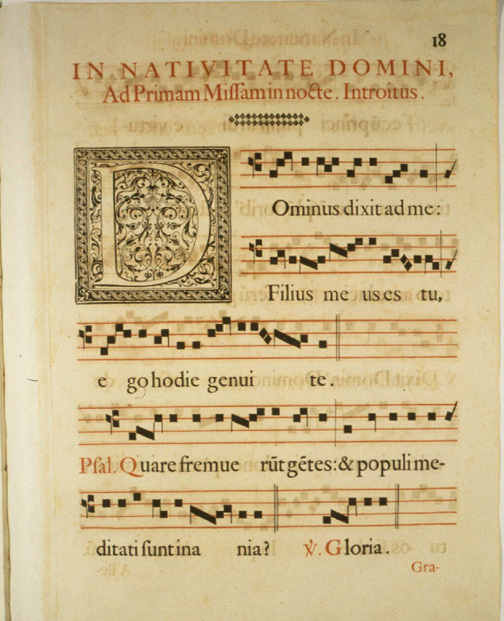 They are not in the Missal, so there is no obligation to sing them, but as it is permissible (and there is usually time) to sing extra things at the Offertory, nothing more appropriate can be imagined than the original verses which go with the Offertory Antiphon in the medieval manuscripts. An edition of the music for these verses, the one produced originally in 1935, is available on the Catholic Music Association of America site here (big pdf). You can also buy a 'Offertoriale Triplex' with the neumes from the oldest available manuscripts included; a putative restoration of the chants with a modern interpretation of the neumes is available for some of them here. Offertory Confirma hoc, for Pentecost, with the ancient verses, sung by the Schola Abelis. Those choirs which sing these Offertory verses may well want to provide the congregation with the text, and a translation, which is provided in these sheets. I am very happy to draw attention to this interesting event. The continuing scholarship on the Middle Ages sheds ever more light on the nature of Gregorian Chant, and is not a matter of merely academic interest to singers. This conference will explore the experience of late medieval worship for clergy, musicians and people. 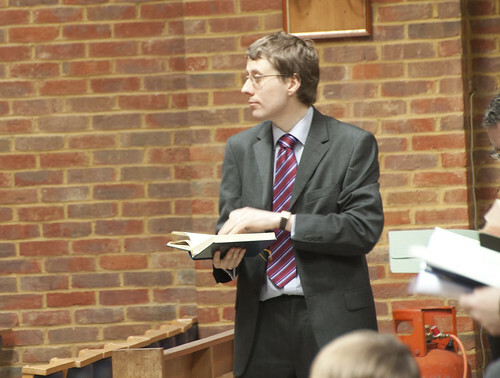 It is based on a major three-year research project (www.experienceofworship.org.uk) with a strong focus on the relationship of building and ritual. 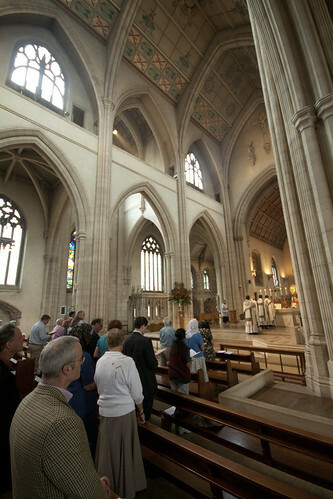 The project has included the editing of key texts, the enactment and audio-visual recording of medieval liturgies in St Teilo’s parish church (near Cardiff) and at Salisbury Cathedral, the construction of a medieval-style organ, and the reconstruction of ritual objects, including flagons, bowls, pyxes, pax board, and vestments. Video materials and some artefacts will be on display. All are welcome. People find that our conferences combine serious intent with an enthusiastic and friendly atmosphere, and are enjoyable both for experts and those new to the topic being considered. A hot lunch is included. There will be a second-hand bookstall. Everyone is invited to finish the day with a glass of wine. £48 for non-members; £35 for under- & post-graduate students. Tickets are non-refundable. Has Chant ever been the 'norm' at Mass in recent centuries? Paul Inwood has initiated an interesting discussion at Pray Tell about the repeated calls by the Magisterium of the Church for Chant to be 'restored' to a place of primacy in Church music, especially at Mass. These calls, he says, indicate that it has been a very long time since chant was the 'norm' at Mass. He gathers a useful set of quotations from official documents, but reads them in an odd way. The more they say that Chant should be given pride of place, the more he thinks that Chant does not have pride of place, because if it it did they would not need to insist on it so much. One confusion here is that, as Ben Whitworth of the Orkney Schola points out in the comments, he fails to distinguish what is NORMATIVE from what is NORMAL. Chant is the norm, and has been the norm; that is not a statistical claim but a rule and a value-judgement. Tra la sollicitudini and Guéranger, when they called for the restoration of chant, were re-articulating a norm of Catholic worship which had forgotten by all too many. But another confusion in Inwood's post is his identification of 'chant' with the authentic chant melodies of the Graduale Romanum. He points out that the Ratisbon ('Pustet') Gradule in use until the Graduale Romanum of 1907, and Pustet's predecessors going back to the Rennaisance, were simplified (or 'bastardised', as he calls them). We can't blame people for not using an edition which had not yet been printed, however: before 1907 there was no 1907 edition, well, obviously! And for all its deficiencies, the Pustet edition was (a) recognisably Chant, and (b) widely used. So Inwood's claim that chant settings were not widely used before the Solemnes restoration simply falls on its face. Similarly, he dismisses the simplified versions of the chant settings used later. He doesn't name it, but the 'Rossini' propers are the obvious example of this in the English-speaking world; they set all the propers of the year to psalm-tones. Their use to the exclusion of the authentic (or indeed simplified) Gregorian melodies is of course very regrettable. But it is still chant. Chant was normative at the eve of the Second Vatican Council in a very practical way: in accordance with the magisterial documents, it was being taught in Catholic schools, and the places where the liturgy was being celebrated with full splendour, such as monasteries and cathedrals, chant was being sung with the best available editions and to a high standard. In other places this may not have been possible, any more than the normative form of the Mass - Missa Solemnis, with priest, deacon, and subdeacon - could not always be celebrated in small parishes. But even today, when chant has almost disappeared from Catholic liturgical life, outside of the Traditional Mass, it is still normative for Catholic liturgy, for theological and aesthetic reasons, and this normative role is respected by those musicians and composers who try to use chant in the liturgy and who use chant as an inspiration. And it is being flouted by those who do the opposite. In September, the Blessed John Henry Newman Institute of Liturgical Music celebrates its first birthday, and the second anniversary of the visit to the Oratory by Pope Benedict on the occasion of the beatification of Blessed Cardinal Newman, founder of the Oratory and Patron of the Institute. To mark the occasion the JHNILM is holding a two day conference at the Oratory, on Friday 21st and Saturday 22nd September. Speakers include Mgr Andrew Wadsworth, currently the Executive Director of ICEL, who has had varied experience as a professional musician, schoolteacher and chaplain, and who will explore the way “Towards a new Culture of Liturgical Music”. Mgr. Andrew Burnham, is also a distinguished musician, author and former Anglican Bishop of Ebbsfleet, will speak about the musical life and aims of the Ordinariate of Our Lady of Walsingham, of which he is a member. The outstanding organist and choral conductor Joseph Cullen, former Organ Scholar of Trinity College, Cambridge, who has held posts in Leeds, Glasgow and Westminster Cathedrals and has directed the London Symphony Chorus and Huddersfield Choral Society for many years, is addressing the Conference on the subject of “Stripping the Cladding”, in which he examines the search for an authentic voice in today's Roman Rite. Ben Whitworth, assistant editor of the liturgical journal “Usus Antiquior” will talk on the “Use and abuse of Hymns”, exploring their true historical place in the Liturgy and ways in which they have sometimes come to be misused. Jeremy de Satgé, founder of “The Music Makers”, singer, composer and choir conductor, will speak on “How to get Catholics to sing, or why we should sing the Mass”. Jeremy White, the internationally renowned operatic soloist and a Cantor of the Schola Gregoriana of Cambridge, founded by the acclaimed plainchant Scholar, Dr. Mary Berry, will speak about his own experience as a church musician. There will also be classes in practical liturgical musicianship presented by the speakers. Joseph Cullen and Jeremy de Satgé will take classes of children and introduce them to liturgical music and the art of singing it. Joseph Cullen will give direction to those who wish to learn more about the art of liturgical organ playing, particularly the accompaniment of plainchant. First Vespers of the 25th Sunday of the Year will be sung in Latin and English Chant and directed by Philip Duffy KSG, who was for thirty years Director of Music at Liverpool Metropolitan Cathedral of Christ the King, and who now lectures in music at Liverpool Hope University. The Conference ends with a performance of Catholic liturgical Music in the Oratory Church by the Sixteen under the direction of Harry Christophers CBE. I thought this article in Chisa (an Italian newspaper) was very interesting, in its report on a recent 'Study Day' on Sacred Music in Lecce, Italy, attended by some very eminent people, notably Cardinal Walter Brandmüller, president emeritus of the pontifical committee for historical sciences, and Monsignor Valentin Miserachs Grau, President of the Pontifical Institute of Sacred Music. The article summarizes under five headings the talk of the Maestro of a chant choir which is to perform before the Holy Father, Fulvio Rampi. 1. Gregorian is the chant "proper" to the Latin liturgy. In it, the Church speaks its thought on the Word of God in song. 2. Gregorian is the "sonorous" expression of the interpretation that the Church makes of the Word. 3. Gregorian is not ornamentation, but is itself liturgy. 4. Gregorian is liturgy in its proper times and forms: from the introit to the gradual to the "communio," from the Kyrie to the Agnus Dei. 5. Gregorian is a whole that marks out and embraces the entire liturgical year, intelligible only in its unified vision, like the Sacred Scriptures. It is the musical form of the "lectio divina" of the Church. The Chant course was a great success this year. Nearly thiry singers took part, and were coached by Colin Mawby and Christopher Hodkinson (below). The first Mass, on Friday evening, was accompanied by the Schola Abelis of Oxford; the remaining liturgies of the weekend were prepared for during the chant course. Chris Hodkinson got the more experienced group to do some wonderful faux bordon on Sunday with the Alleluia. Colin Mawby (above), with the less experienced group. Singers receiving Communion before singing the Communion antiphon. Chris Hodkinson gave a fascinating presentation on semiology to the whole group. The singers at the final Mass on Sunday. The combination of the Chant Course with a large retreat with the Traditioinal liturgy is a winning formula. Not only is there plenty of things to sing, but the inclusion of Vespers and Compline as well as Mass means there is a good range of difficulty in what is sung, including a significant amount of Psalmody, which is the basis of all Gregorian Chant. The presence of an appreciative congregation, and a large number of children, makes the whole thing more gratifying, and really more real, than it would otherwise be. See here for a report on the Retreat; here for more photos. 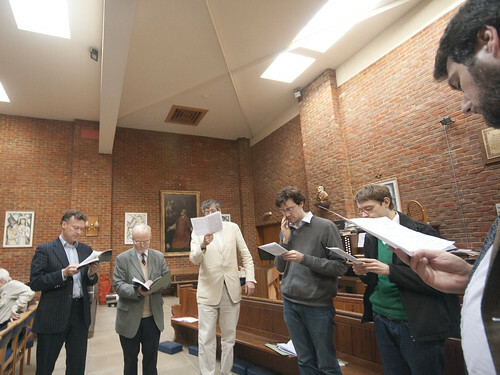 The Gregorian Chant Network's annual big chant course - a three-day intensive course (Friday afternoon/evening to Sunday morning) - will take place 13th to 15th April 2012. That is, Easter Friday to Low Sunday, the weekend after Easter itself, at the Oratory School, near Reading (map). It will be led by Colin Mawby, the composer and former Director of Music at Westminster Cathedral, and Christopher Hodkinson, one of the Musical Directors of the Schola Gregoriana of Cambridge. Each of them has an enormous experience of chant, its interpretation and performace, and having two chant teachers will enable participants to be divided for various purposes in the course of the weekend, enabling everyone to be taught in a way appropriate to their experience. The course has always run alongside the St Catherine's Trust Family Retreat. Apart from seeing the vast number of small children devoted to the Church ancient liturgy, which is always fun, this means that participants in the chant course have the opportunity to sing at a succession of live liturgical events with an appreciative audience. Each of the three days has a Traditional Sung Mass, which have a special interest because it will be the week after Easter. There is also Compline on two days, and Vespers and Benediction on the Saturday. The headline price is £90 all inclusive (tuition, accomodation and meals), and this falls dramatically for groups of singers from the same schola, if the schola is affiliated to the GCN. (And yes, of course you can affiliate right away at no cost, if you want to take advantage of this offer!). There is also a discount for LMS members, thanks to sponsorship from the Latin Mass Society. This means that it can be as cheap at £30 a person! The GCN's hope is that the course will be taken by enough members of a given group to make a difference to performance when they get home, and not just by an individual here and there. It is up to Chant Directors to make this happen! One of the things which happened at the meeting was a report by me (Joseph Shaw: photo courtesy of Henry de Villiers) on the activities of the GCN over the last couple of years. It's all been on this blog, for the most part, but here's a summary. We have a new logo done for us - you can see it on the sidebar. 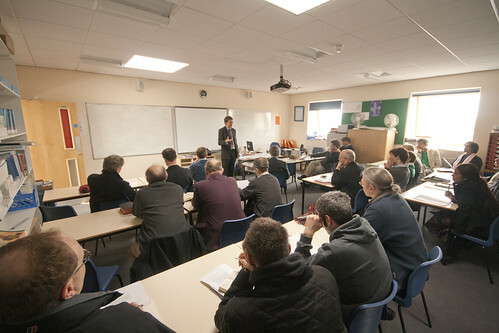 We've organised two weekend chant courses at the Oratory School; another will take place in April, led by Colin Mawby. 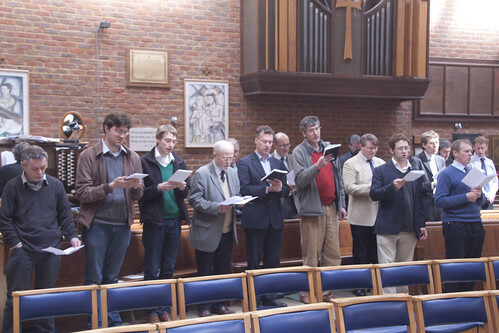 In collaboration with the Schola Gregoriana, there was a very successful series of chant training days in Portsmouth Cathedral, organised by our 'South' regional organiser, Neville MacMally. Our London organiser, Matthew Schellhorn, has organised a chant day only a couple of weeks ago in Southwark Cathedral. Training in Catholic cathedrals was one of the bright ideas we started the GCN with, and to be honest it has proved harder than I had hoped. Getting permissions together for such events requires more effort and coordination than in other venues, because more people are involved. However, we shall persevere, and I have recently met Bishop Davies of Shrewsbury who was enthusiastic about the idea for his own cathedral. Something else I have done is the series of booklets of propers for diocesan feasts, which are now hosted on the LMS webstite, though the series is not yet complete. I also drew attention to two important devopments: the establishment of the Ordinariate, and the publication of the new translation of the Missal. In both cases the forces of sanity in Church music are being given an extra opportunity. This isn't the end of the conflict, but it is certainly represents a more positive situation than before. What we all need to continue to do, of course, is show the committment to excellence, and continual training of our singers, which alone will raise the standard of chant, attract more singers to it, and make it work as it should for the sanctification of souls. The Blessed John Henry Newman Institute of Liturgical Music in Birmingham. Both were represented at the meeting, the Institute by Fr Guy Nichols Cong Orat, its founder and Director, and the Ordinariate by the Rev Mr Daniel Lloyd, a deacon, who was one of the assistant clergy at Vespers. We also have more choirs and scholas than ever affiliated to us - they now number over 30 - and we have 6 regional coordinators, working in the North West, the North East, London, the Midlands, the South, and Wales. Furthermore, our meeting was attended by representatives from Una Voce France and the Irish affiliate of the Una Voce Federation, St Conleth's Catholic Heritage Association. UV France was represented by Henry de Villiers of the Schola St Cecile (and the New Liturgical Movement), and Philippe Nikolov of the Schola Reginae. 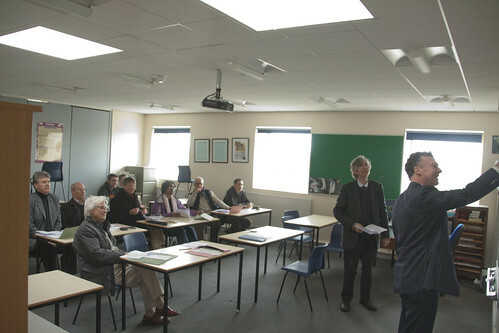 The above photo of Fr Guy Nichols is from Henri's French blog post on the meeting. Our aim is to be a forum for everyone involved in chant to be able to meet, discuss new initiatives, and give each other practical and moral support. I am going to do a series of posts about the meeting which took place on Saturday. 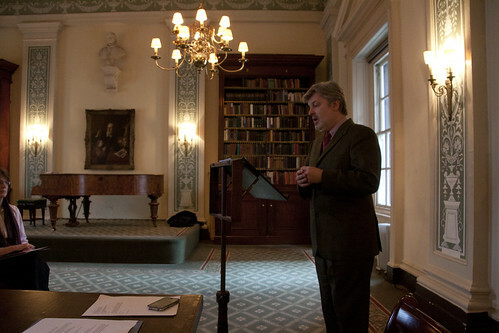 In this one, I am posting the audio of James MacMillan's very interesting talk. St Edmund of Abingdon, or Canterbury, one of our saintly Archbishops of Canterbury, like his successor St Thomas of Canterbury spent a lot of time in exile, and indeed died there. He has two feasts in the 1962 Calendar in some dioceses. His main feast day in 16th November, but there is also a feast of his Translation (ie. the moving of his relics) on 9th June. 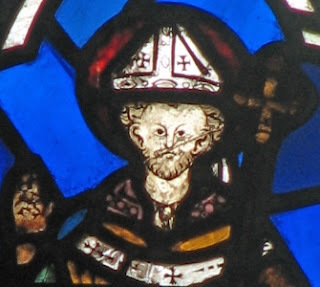 He is particularly associated with St Edmund's College, Old Hall, Ware, where an important first-class relic is preserved and both feasts are celebrated; he is also the Patron of the Diocese of Portsmouth. There are two different Mass formularies, with their own chants, for him. The one used by most dioceses on 16th November (ie Birmingham, Clifton, Liverpool, Leeds, Middlesbrough, Northampton, Plymouth, Salford, Shrewsbury & Southwark) is simply the Common of Confessor Bishops, Statuit ei Domini. The other, used for the Translation in the places where it is celebrated (Brentwood, Portsmouth, and Old Hall), and in Westminster, Brentwood and Portsmouth for the feast, is taken entirely from the Feast of St Edmund in the Sarum Missal. It is unusual, and possibly unique, to see a complete adoption of a Sarum Mass formulary (set of propers) in modern books. In terms of chants the pieces can all be found in the Graduale Romanum, but the Introit and Alleluia have textual variants to include his name. The alleluia is the same as St Francis of Assisi, but with 'Hic Edmundi' instead of 'Francisci'. He is also described as 'modicus', 'modest', rather than (as with St Francis) 'humilis', humble. Perhaps this is becuase, unlike St Francis, St Edmund did not manage to resist elevation to high office in the Church. Fitting 'Hic Edmundi' into the space where 'Fransisci' is a bit of a puzzle, and we are very grateful for the help of Colin Mawby here. Mr Mawby, who was Director of Music in Westminster Cathedral in 1960s, can remember singing it in Westminster many years ago. It is good to have this kind of knowledge passed on to future generations. His help has enabled me to add this Mass to our list of Diocesan feasts on the Latin Mass Society website. The London coordinator of the GCN is organising a Chant Training Day for Saturday 11th February, in Cathedral: the Catholic one, St George's Cathedral, Southwark. It will be led by the Cathedral's Director of Music, Nick Gale, and will follow a chant Mass in the Cathedral in honour of Our Lady of Lourdes: it is the anniversary (and the feast) of her apparition there. It will conclude with Vespers. Mass is at 10.30 am; the chant training will begin at 11.15. Vespers will be at 4.30pm. Singers will be divided for part of the day between more and less experienced groups, to enable everyone to get the most out of it. St Hildelitha and St Cuthberga are wonderful examples of the extraordinary religious women produced by the Anglo-Saxons, along with St Hilda of Whitby and St Ethelberga of Ely. 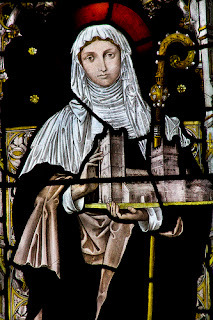 St Hildelitha founded a convent at Barking, which St Cuthberga joined; St Cuthberga later founded a 'double monastery' (of monks and nuns, on the same site but with separate enclosures) at Wimbourne and led a group of nuns on St Boniface's German mission. They are celebrated together, in the 1962 Calendar, in Brentwood diocese on 3rd September. Here's a stained glasss window showing St Cuthberga. Their Mass is 'Virgines laudent nomen Domini', a Mass for 'All Virgins' (ie not only martyrs) which in 1914 was for some reason restricted to 'Certain places': that is, it stopped being used for saints in the Universal Calendar. This means that it is not to be found in the Liber Usualis; it is still in the Graduale Romanum, however, which has a section at the back for Commons used in Masses for Certain Places, and I have assembled a booklet from the Graduale scanned by the Church Music Association of America. Here they are. The chants are ancient, but only in Brentwood Diocese on 3rd September, if you are lucky enough to be able to attend a Sung Mass in the Extraordinary Form, are you likely to hear them in a liturgical setting, at least in England and Wales. This concludes my series of English and Welsh feasts for the time being. All of these chants, and a couple more, are to be found on the LMS website here. Another set of Chant Propers for feasts celebrated in specific dioceses in England and Wales, to be found in the same supplement for the English Benedictine Congregation where I found the Mass of the English Martyrs, is a set for the Benedictine martyrs. Richard Whiting was the Abbot of Glastonbury; Hugh Farringdon the Abbot of Reading Abbey, John Beche the Abbot of St Werburgh Abbey, Chester. These three great men were martyred by King Henry VIII. The Benedictines celebrated their feast, and that of 'four other Benedictine monks, martyrs', on December 1st. On the same day, various dioceses throughout England celebrated martyrs special to themselves. In Birmingham it is the Martyrs of Oxford University, in Nottingham St Ralph Sherwin, in Northhampton and Portsmouth it is St Edmund Campion and Companions. As far as chants go, these feasts all use one of the standard Masses for Martyrs, 'Intret in conspectu'. In Westminster, however, they celebrate Bl. Hugh Farringdon & Companions, and in Brentwood Bl John Beche, using the same Mass as the Benedictines: 'Vineam de Aegypto'. I have created a booklet of these chants, and you can download them here. Pictures: Blessed Hugh Farringdon on the left, and Bl John Beche on the right.